The Cold War defined generations. In the more than 40 years that the Cold War took place, the world witnessed the Korean War, the McCarthy trials, the Cuban Missile Crisis, the Space Race, the Vietnam War and more. For the public, propaganda and fear were part of everyday life. Some generations supported every decision the government made and others protested and rebelled against the Cold War and the conflicts that arose with it. Like many other aspects of life, popular culture of the time was greatly impacted by the events of the Cold War. In the early 1960’s, as computers were slowly making their way into Universities, video games were born. Like music and film, video games of the time often exhibited the public sentiment of the Cold War. In the 60’s and 70’s, video games, much like the public, were obsessed with space. In the late 70’s and early 80’s, as tensions between East and West grew and the public feared an all out war, games were more obsessed with warfare. Upon the rebound from the video game crash of the early 80’s, the industry left the Cold War to die until the mid-90’s. Finally, from the mid-90’s to the present, video games began dabbling elements of the Cold War showing that the Cold War was far enough away at this point to examine more in depth. The way in which video games utilized Cold War content displays how the public’s view of the Cold War has changed over time. The world witnessed the birth of video games at the beginning of the space race. One of the first known video games, Spacewar!, was created at MIT in 1962 by Steve Russell, Martin Graetz and Wayne Wiitanen. It lets two players take control of spaceships as they try and destroy each other while avoiding a star that pulls at both ships with its gravity. The game was inaccessible a larger audience because, at the time, universities were the only places where computers could be found. Spacewar! was incredibly important to video game history and later was the inspiration for the first coin-operated arcade video game, Computer Space, created in 1971. With so few games made during this time, it is tough to say what games can tell us about the time period they were made in. However, it should not come as a surprise that some of the first video games were based on space travel. By 1961 both the US and the USSR had put a man into space. In September of 1962, President John F. Kennedy made his famous proclamation that before the end of the decade that a man would step on the moon. With so much happening in regards to space, the public became obsessed with the cosmos. An article by Randy Kennedy of the New York Times discusses the effect of the Space Race on popular culture and while not addressed in the article, his thesis extends to video games. The video games of the 70s and early 80s can tell us more about how the Cold War influenced the public. 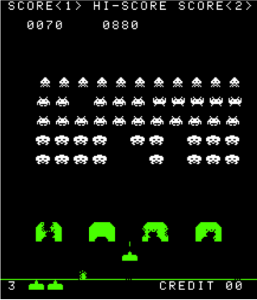 Space Invaders, Asteroids, Space Hawk, Space Spartans and Space Wars were all successful games leading up to the North American Video Game crash of 1983. Even at this time, space travel and aliens was a hot topic for popular culture. The Star Wars trilogy—one of the most successful film franchises of all time—was released in theatres between 1977 and 1983. Star Trek’s first movie was released in 1979. The popularity of these films can partially be attributed to the influences of the Space Race. Video games show a similar effect. The public’s interest in the space race can be shown with the success of games like Space Invaders. Other video games of the time show that the Cold War was still influential on a broader scale. Missile Command was released in 1980 for the Atari 2600. The game puts the player in control of 3 anti-missile batteries that must protect 6 cities as missiles rain down from the sky. The game included weaponry that had become a prominent part of both the United States and Soviet nuclear arsenal like multiple independently targetable reentry vehicles (MIRVs) and smart bombs. With their usage in the gameplay, it could be assumed that by 1980, things were tense between the two superpowers. In fact, they were. In the years leading up to the game’s release, talks had stalled on a treaty to curtail the production of nuclear weapons (SALT II), the Soviet Union refused to end the war in Afghanistan and Jimmy Carter’s administration was discussing how the United States might win a nuclear war. Missile Command is not the only game of its kind. 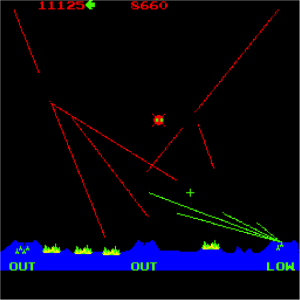 Games such as Tank and Air-Sea Battle also show a public interest for warfare but Missile Command is certainly the most interesting and popular. These games display the public fear of a deadly end to the Cold War that existed at this time. The North American Video Game Crash of 1983 nearly killed the console gaming industry. From 1982 to 1985, video game sales dropped from 3.2 billion to 100 million. Atari, the video game giant, was the worst casualty of crash. After losing hundreds of millions of dollars, Atari was sold and would never regain the success it had before. Console gaming would survive though, in part thanks to the widespread success of the Nintendo Entertainment System, which was released in North America in 1985. From the time after the crash until the mid-90’s, the Cold War was featured less in video games. 1987 (even earlier by some accounts) it was clear that the Cold War was coming to an end. Video games took a break from nuclear warfare, the Cold War and the Soviet Union for a while after this. With the death of the union and finally a sense of peace, it makes sense that the public would rather play games that did not bring back memories of the Russian Bear. Games with Cold War aspects did not disappear entirely though. Games like Harpoon (1989), Crisis in the Kremlin (1991), and F-117a Stealth Fighter (1992) are all examples of games released during this time. However, there would not be a major blockbuster game released with this subject matter until the mid 1990’s. In 1995, Westwood studios released the first game of their now famous RTS strategy series Command and Conquer. 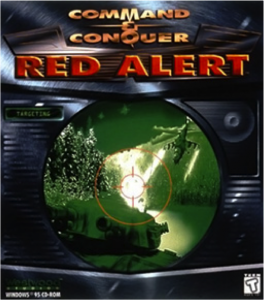 Set in an alternate reality, the studio wanted to make a prequel to the original Command and COnquer but instead ended up creating an entirely new spin-off series in 1996 with the release of Command and Conquer: Red Alert. Red Alert’s story begins with Albert Einstein in 1946 going back in time to murder Hitler in 1924 before he becomes leader of the National Socialist party. By doing this, Einstein prevents the Second World War from ever happening. However, this set into motion an even greater conflict between the Soviet Union and an allied United States and Europe. Rather than using a fake Soviet leader, Joseph Stalin is prominently featured in the story and in the endings of both the Allied and Soviet campaigns is killed in some way. In a game where the player can play as the Soviets or Allies, regardless Stalin dies. In Red Alert there is no obvious good or bad yet Stalin is implicitly labeled as “bad”. The developers doing this shows that the mentioning of Cold War was no longer as delicate as it had been and that developers were willing to take more risks with the subject matter. Half a decade seemed to be enough time to make the public feel more at ease with elements of the Cold War. Red Alert’s use of Cold War elements shows how things had changed even from ten years before. Four years later, in 2000, Westwood studios would release the second installment in the series, Command and Conquer: Red Alert 2. The second installment demonstrates that by 2000, the Cold War was viewed by the public in a more lighthearted way. Obviously, the Cold War is a very serious event in history that affected multiple generations of people. However, most of the anxiety had disappeared after nearly a decade of disconnection. In Red Alert 2’s alternate timeline, the arms race between the Soviets and Americans led to some interesting weapons. The Soviets can deploy Yuri units, use mind control to turn enemy soldiers against them. As for the Allies, they have “Mirage Tanks”, which are able to disguise themselves as trees to avoid detection. These are just a couple of examples of the type of outrageous weaponry that is available. The game’s storyline also features humor in it to make fun of Cold War. By the year 2000, the Cold War was the distant past to a new generation of the generation that had witnessed the Cold War was not taking it as seriously. Red Alert 2’s humorous portrayal of Cold War events shows the change in the public’s perception. By 2004 and onward, elements of the Cold War were present in video games in a variety of ways. 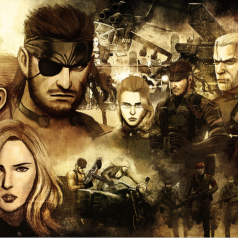 In Metal Gear Solid 3: Snake Eater (Konami 2004), the Cold War is the backdrop for the story. The game takes place shortly after the Cuban Missile Crisis and puts the player behind enemy lines on covert operations. Singularity (Raven Software 2010) is set on a fictional island off the coast of Russia, which was abandoned in the 1950s. The player can find various propaganda films that show the ridiculousness of tdhe Soviet propaganda in the early Cold War. 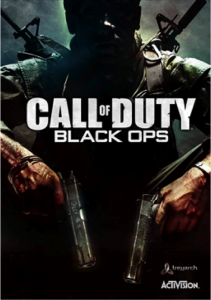 Call of Duty: Black Ops (Treyarch 2010) examined some of the more horrifying and terrible parts of the Cold War. Missions take place in Cuba during the Bay of Pigs invasion, in Vietnam during the War and in a Gulag in 1960s U.S.S.R. The video games of the early twenty-first century are not afraid to use the Cold War in a variety of ways. So much time has passed since the Iron Curtain fell that the public no longer fears the Cold War. Similarly, fifteen to twenty years from now, the Iraq War and the War in Afghanistan will become topics for their own video games because the subject will not be as controversial as it is now. After the turn of the millennium, the public has relaxed their views on the Cold War and this is evidenced by current video games. Video games changed the way that they used elements of the Cold War as the public’s sentiments changed over time. From the Space Race when Spacewar! and Space Invaders were kings till long after the dissolution of the Soviet Union as games like Red Alert and Call of Duty: Black Ops are exploring the Cold War posthumously. The Cold War has left marks on the world that will not be soon forgotten. As Second World War games have disappeared in the last few years, modern warfare (not the game but the concept) and Cold War video games will likely continue to be explored further for the foreseeable future. This is but one example of how video games can teach us about the past. As new games are growing in complexity and depth, the games released today will be able to tell us a lot more about our society today than games from twenty years ago. When new generations study the early twenty-first century years from now, they will look at our video games as sources. Cold war took place, the Korean War, the McCarthy trials, the Cuban Missile Crisis, the Space Race, the Vietnam War, and more.BIrth of video games at the beginning of the Space Race. 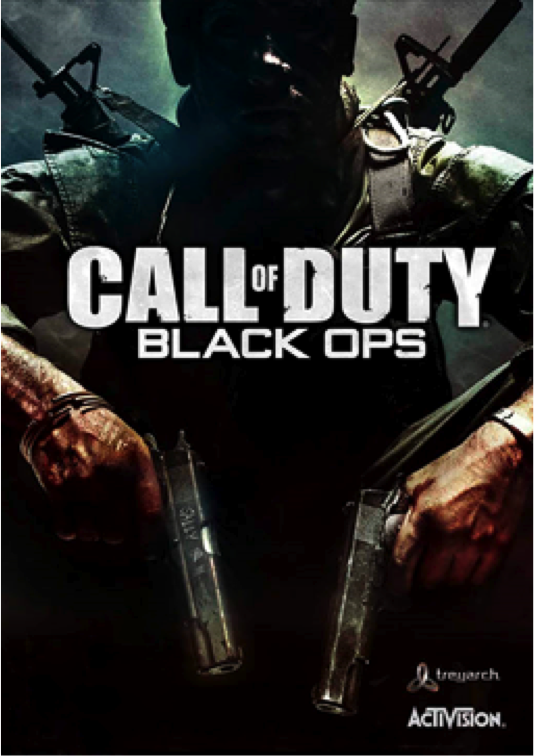 Call Of Duty: Black Ops (Treyarch 2010) examined some of the more horrifying and terrible parts of the Cold War. Is The Secret of Monkey Island … Thinginess?